This personalized Caldwell Cooler drawstring bag is perfect gifting choice for marketers who are trying to attract holiday makers, adventure seekers, students and others habitual of carrying their food. 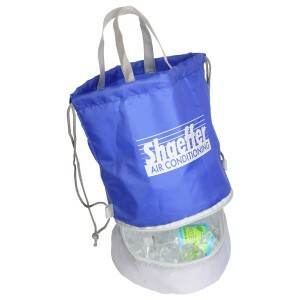 This drawstring bag attracts with its typical design highlighting tote handles and insulated compartment at the bottom. 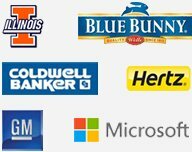 It makes an awesome corporate gifting choice throughout the year. Free online design proof, free shipping and free art setup is offered on all orders. 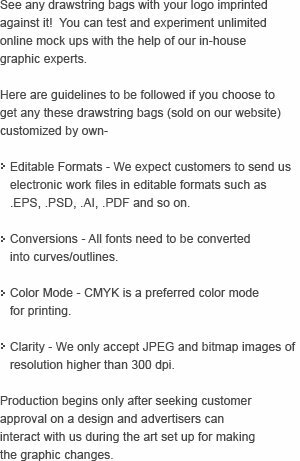 Request a quote to know discounts that you can expect on bulk ordering these personalized safety drawstring bag. Features – Lightweight 210D polyester and PEVA (polyethylene vinyl acetate). Top is 9" deep with two reinforced handles. Drawstring closure. Features a 3" deep insulated compartment at bottom with zipper closure. Imprint Area : 6" x 4.5"
Product Size : 12" x 12" x 8"